Visit the Set of Star Wars: The Last Jedi and Witness John Williams Conducting the Score in This 360-Degree VR Video! Star Wars may never have made it to the big screen if it hadn’t been for John Williams. As we famously know, George Lucas didn’t fully believe in his film until hearing it with Williams’ score, which Lucas has since deemed “the lifeblood of Star Wars.” Now immerse yourself by using your mobile-phones to step inside the experience of John Williams scoring Star Wars: The Last Jedi! 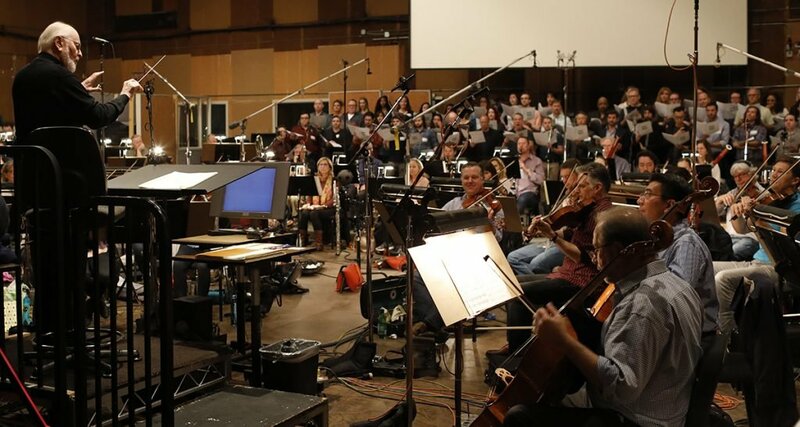 The seven minute 360 degree video takes you on the film’s set and inside the recording studio theater, to witness Williams conduct his 100-piece orchestra, creating the powerful score for the eighth installment in the Skywalker saga – seamlessly blending his catalog of themes, old and new, into a series of compositions that stand up alongside all of his previous iconic Star Wars contributions. It is an absolute treasure that John Williams has created the music for Star Wars for over 40 years, and this video allows us to get as close to being there as possible. Williams has one final chapter left in 2019’s Episode IX, and we have no doubt that he will leave the franchise with another masterful composition. Forty years, nine episodes – one brilliant and generous man.